Punk means different things to different people, which in a way is very punk. 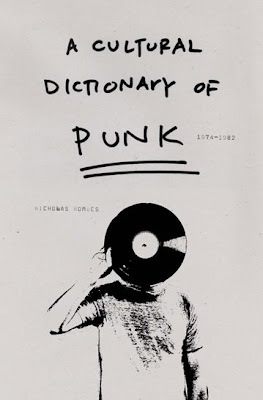 The cover of Nicholas Rombes' A Cultural Dictionary of Punk gestures away from politics and class and instead settles on the DIY aesthetic which for many is its defining characteristic. (Whether or not punk is dead was hotly debated over at the Jacket Copy blog a few weeks ago; check out their interview with Rombes and (especially) the comments.) I love the straightforward handbill look of this, and that there's no pink to be seen anywhere on this cover is a major plus in my book. 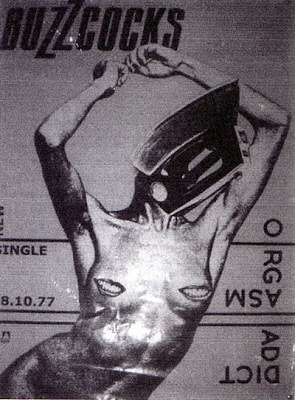 W/R/T the above, Linder said of collage: "For a short period I'd found a perfect mode of articulation. Punk was cutting out the question, 'Can I do this?'" The answer, of course, was (and still is) yes. Of course, since the grungy DIY aesthetic hit the mainstream, I imagine a 'true' punk would give the book an ornate script font and a frilly border. Very cool in my mind. The only books I can remember on punk that dont have the exact same "magazine cut out letters" font.